Morse cutting tools makes a very wide range of end mills for ferrous and non-ferrous material cutting. We stock 2-3-4 and multi flute singl and double end mills and offer carbide tipped and solid carbide to meet your application needs. We strive to offer the best selection of Morse end mills and offer our years of experinec in helping you choose the right end mill for your work. 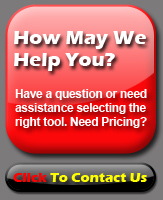 If there is a specific Morse end mill you are looking for, please call us at 1-887-477-8665 or click here to contact us online. HIGH PERFORMANCE MILLING: Carbon Steels, Alloy Steels, Stainless Steels, Mold & Die Steels, High Temperature Alloys, Titanium Alloys, Cast Iron and many other materials. Variable Flute design reduces chatter, harmonics and cutting forces for increased feed rates, greater depths of cut, improved surface finish and accuracy, minimal tool deflection, reduced machine vibration and increased tool life. 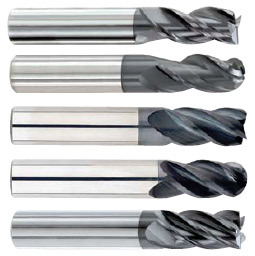 Center Cutting 2-Flute end mills provide increased chip capacity and are recommended for milling slots, keyways and pockets. Center Cutting 2-Flute end mills provide increased chip capacity and are recommended for milling slots, keyways and pockets. Center Cutting end allows for plunge cutting like a drill into solid material. Center Cutting - High Spiral Design Cuts Cleanly & Efficiently M42 8% Cobalt offers increased wear and heat resistance for abrasive and difficult materials, higher speeds and feeds and long life in production applications. Multi-Flute end mills offer higher feed rates, improved surface finish and greater core strength for reduced tool deflection. Center Cutting end allows for plunge cutting like a drill into solid material. M42 8% Cobalt offers increased wear and heat resistance for abrasive and difficult materials, higher speeds and feeds and long life in production applications. High Speed Steel & M42 8% Cobalt Bright Finish & TiN Coated Four-Flute end mills offer higher feed rates, improved surface finish and greater core strength for reduced tool deflection. Center Cutting Ball Nose end mills are designed for milling die cavities, fillets, round bottomed holes and radius bottom slots. 2-Flute end mills provide increased chip capacity. Center Cutting end allows for plunge cutting like a drill into solid material. Roughing / Finishing end mills rough and finish in a single pass, removing material at roughing rates while producing a finish near that produced by standard end mills. Recommended for a wide variety of materials of soft to medium hardness including titanium and aluminum alloys. 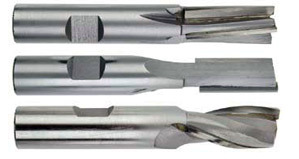 Straight Flutes for general purpose milling in a variety of materials. Carbide Tipped end mills offer excellent heat and wear resistance, increased speeds and feeds and enhanced tool life. They are also tougher than solid carbide tools in less than optimal machining setups. Solid Carbide offers higher cutting speeds, high rigidity, excellent hardness, wear resistance and heat resistance and long tool life. Tool Coatings further enhance milling performance in a wide range of applications. Can't find the Morse End Mills you were looking for or need assistance in selecting an end mill?